Malcolm Adams (Lorn Park), Jen Axon (South Grafton), Ray Callaghan (Soldiers Point), Mick Cleary (Beresfield), Noel Creighton (Warilla), Mick Kedwell (Teralba), James Lee (Albury), John Murray (Belmont), Clay Parker (East Maitland), Gail Reid (Wangi), Allan Starrett (New Lambton), Trevor Solomons (Maitland City), Roger Sydenham (South West Rocks), Barry Troope (Toukley District), John Wright (Belmont), Stan Wrzeczycki (New Lambton). 2014 Vic’s. Barry Anset, (Golden Square), Ray Arnold (Rosebud),Barry Atkins (Sunbury), Ray Bezett (Dromana), Pamela Bryant (Edithvale), Stephen Coles (Nth Balwyn), Neil Crisp (Warrnambool), Graham Edwards(Swan Hill), Malcolm Finch Golden Square), Peter Gribbin (Pakenham),Phil Gude (Dromana), Tony Long St. Leonards), Brian McMahon (Warrnambool), Arthur Parker (Main Ridge), Ian Ridley (Karingal), Adele Ryan(Ocean Grove), Michael Scotter (Heathmont), Dennis Smyth (Shepparton Park). Click here for many more photos from the 2014 Challenge Gallery 1. Click here for many more photos from the 2014 Challenge Gallery 2. Click here for “The Shot” magazine story of Nov. 2014. 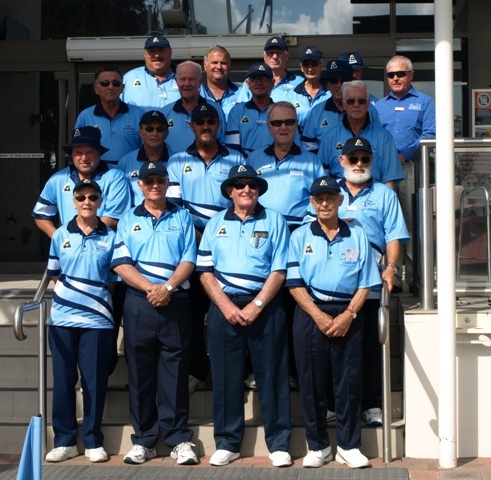 The 2014 National Bowlers Arm Tournament ended with the Victorious Victorian’s smashing their previous year’s winning score to again defeat South Australia and New South Wales in a very competitive 3 day tussle at the Beresfield Bowls Club, near Newcastle in NSW. Victoria sprinted out of the blocks in the first of two Fours sessions on Day 1, picking up wins on all 4 rinks in Game 1 and another 3 wins from 4 rinks in the afternoon’s Game 2. This gave Victoria 14 of the 24 points on offer for Day 1. Day 2 was set aside for Pairs play and this time Victoria took 13 of the 24 points on offer in the morning rounds(Game 1), with SA performing well to pick up 8, leaving NSW one win and 1 draw across 8 rinks for 3 points. The afternoon session (Game 2) saw Victoria remain steady with another 12 points and NSW turning the tables on SA with 8 and 4 points (resp.). Day 3 – Final Day was very kind to the Vic. Singles players who won on every rink collecting 8 points from a maximum of 12 in Game 1. The Morning Triples (Game 1) however, saw all States equally share the 12 points available. The afternoon Singles session (Game 2) had Vic. and NSW pick up 6 points each and in the Triples Game 2 Vic scored 5, to NSW 3. and SA 4. 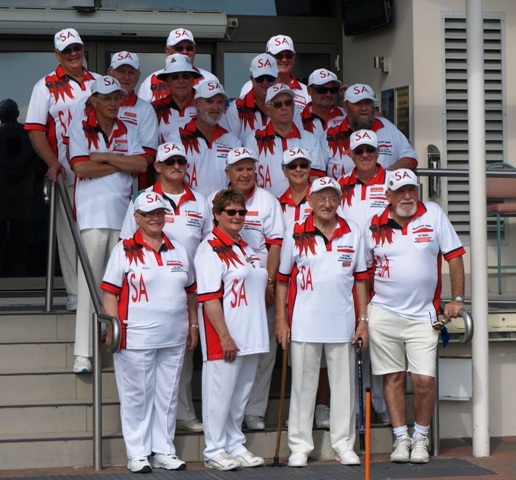 Beresfield Bowls Club conducted the event in splendid fashion, leaving no stone unturned and no wish not met. A full “hot” breakfast including bacon, eggs, baked beans, mince & veggies, mashed pumpkin, tomato & onions in a luscious gravy with all the cereals, fresh fruits, juices and toasted breads thrown in, and served each morning for 4 days! Ohhh how I’m going to miss you Duke, Yogi and your helpers. Warren Shipley and Charlie Glass did a mammoth job with the scoreboards, the scorecards and in the updating of & the posting of results. Green keeper Alby also did a marvelous job, as did the folks at Reception…who went over & above! Thanks Girls! And how good was Barry the Courtesy Bus driver!! Presentation night. This night was Emceed by NSW representative Allan Starrett, and was held at the Club in the “Rainbow Room” from 6 pm with Distinguished Guests, Managers, Officials, Players and Supporters all keen to party and hear the final results. 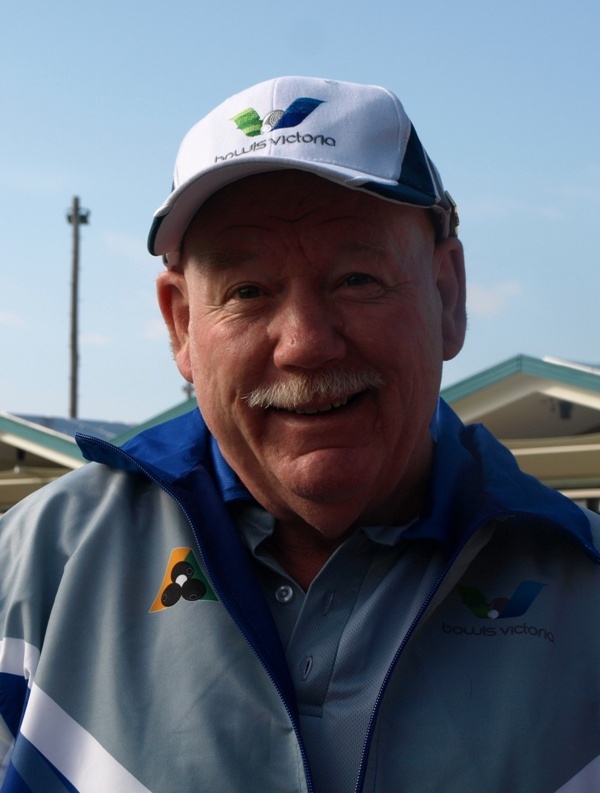 Phil Gude for Victoria and Rodney Egge for South Australia responded to Allan’s official welcome. 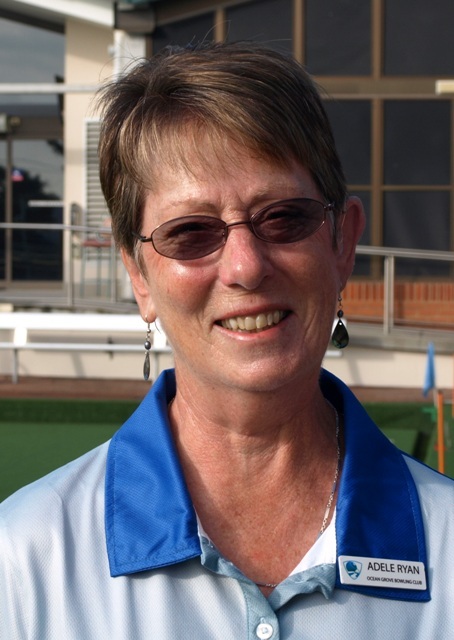 Women’s Bowls (NSW) President Helen Proctor provided all ladies participating in this year’s Challenge with a WBNSW Badge, a gesture much appreciated. Helen was not able to be there on this night but had visited all ladies earlier in the week. The badge was presented to players by NDWBA President Helen Abbott and NDWBA Secretary Loretta Bannister. All competing Players & Managers where then presented with the official “2014 Beresfield Challenge Commemorative Badge”, supplied by the Hunter Academy of Sport & the Newcastle District Women’s Bowling Association. NDWBA President Helen Abbott and Secretary Loretta Bannister again presiding. A raffle was conducted at the interval with major prizes going to Victorian’s Barry Anset and Pamela Bryant. Finally, it was on to the Major Event……the announcement of Winners! The First award was the Victoria vs. South Australia “Bowlers Arm Challenge Shield” presented by Colleen Mannis of the “On the Green” magazine and was won by Victoria with a score of 33/7. 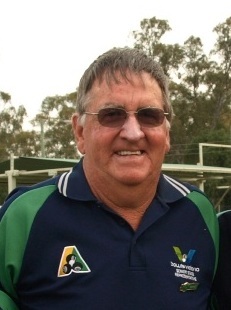 The Shield was accepted by Mike Scotter, Manager of the Victorian Squad. The Second award was the NSW vs. SA “The South Shield” presented by John Smith (President of the NDBA) and won by NSW with a score of 24/16. The Shield was accepted by Don Reid of NDBA Member Advisory Committee on behalf of the NSW Squad. The Third was the NSW vs. Vic. “Starrett – Ashley Shield” presented by the man himself Allan Starrett (NSW Bowlers Arm Committee) and won by Victoria. The shield was gleefully accepted by Phil Gude on behalf of the Victoria Squad. Phil then took the opportunity to call up those that were with him for the first Challenge in 2011….they were; Ray Bezet, Mike Scotter, A. J. Parker & Ian Ridley. They got a big cheer! The Final and most important award of the night, The Bowls Aust. “The National Bowlers Arm Trophy” for 2014 was presented by Des Skinner President of Bowls Australia and President of Beresfield B. C. (a man of many hats!) to the Victors…..VICTORIA!. Phil Gude accepted the “Very Nice” trophy and invited all Vic Squad members up to the spotlight to share the glory! A wonderful moment! Well done, to each and every Vic (! ), and each and every combatant from South Australia and New South Wales, and of course our supporters. Thanks to John Bryant for his tireless effort in keeping us informed progressively as to the situation on other rinks and for taking all the photos. 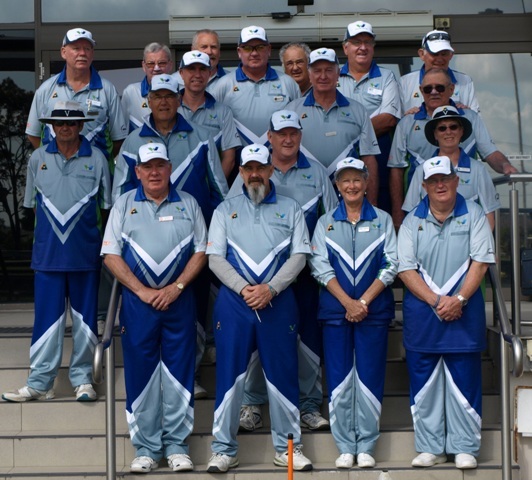 Congratulations to the Victorian Representative Bowlers Arm side who have defended their National Championship title at the event conducted at Beresfield BC this past week. As defending champions the pressure was always on the team to repeat their 2013 performance at the Corowa Civic BC and their back-to-back win in this event is applauded by everyone. During the week there have been results posted on the BV website and the interest generated amongst the overall bowls community is evident from the hits on the BV website to review the results as they were coming in to the offices. In this year’s event the Armed Vics were supreme in all of their individual matches state vs state and claimed the overall trophy with 60 points. In second place was New South Wales on 35 points and third was South Australia on 23. Against New South Wales, Victoria were 27-11 winners in their state vs state battle and 33-7 over South Australia. Whilst recognizing the overall efforts of the team, there were also five members of the side who remained undefeated over the duration of the event and this in itself is a great result. They were Ray Arnold, Stephen Coles, Malcolm Finch, Peter Gribbin and Phil Gude. Going by the results in this year’s event this prediction could very well come true. Click here for the flyer of this event. Philip Gude (Dromana BC) Represented Vic. in Disability Bowls 3 times. R/up State Disability Pairs 2012. Bowlers Arm State Rep. 4 times 2011/14. 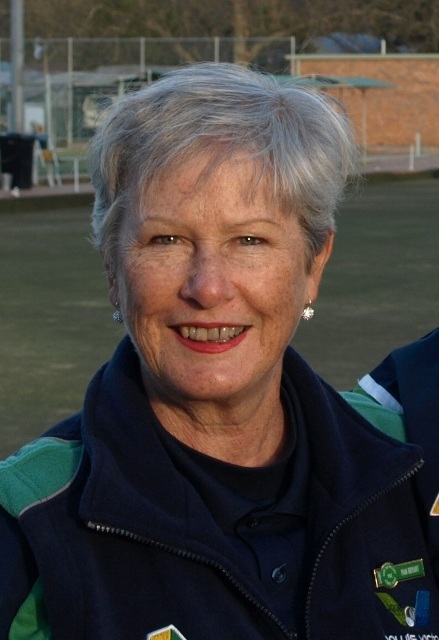 Director at Bowls VIC from 2012. Coordinator of the Armed VIC Challenges from 2012. Co-founder of the Arm Bowlers Nat. Event 2013, founder of the Arm Bowlers Event schedule 2013/14 & Arm Coaching Events 2013. 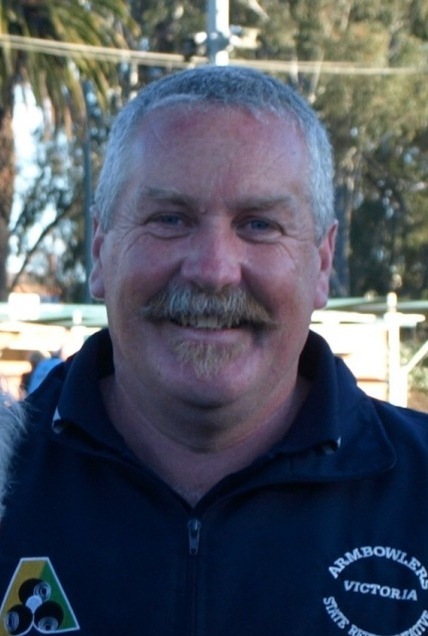 Denis Smyth (Shepparton Park BC) Married to Margaret 49 yrs, 4 kids. Ret’d from Farming 3 yrs ago. Started bowling in 2000 at Mooroopna Golf before moving to Shepparton Park BC in 2011. Club C’ship Pairs, twice r/up Club Singles, Winner Div 2 Pennant GVR, and D.1 Premiers in 2014 for GVBA & Group as a Skip. Past and current Selector. Adele’s 1st year with the Squad. 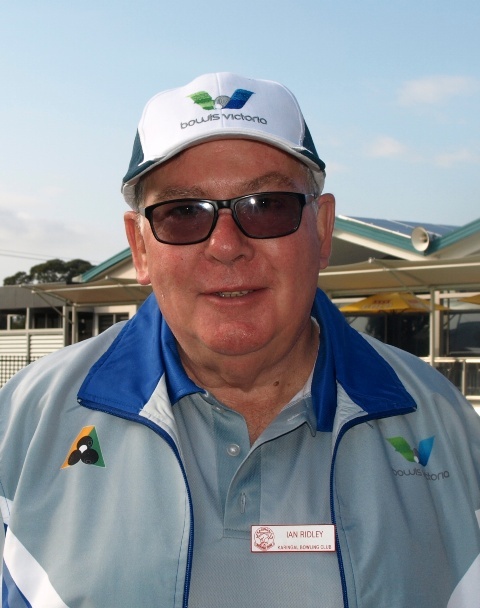 Ian Ridley (Karingal BC) AKA “Riddles” Ian lives in Frankston with wife of 47 yrs, Karen he has a son & daughter. Ian worked for Myers for 42 yrs. Has bowled 24 yrs, 13 with an arm on & off between surgeries. 1st Squad appearance was in 2011 Vic. Vs. NSW. Won Club C’ship 4’s and 2 Pen Finals in D. 2 & 3 of the PBD. Club Sect. Treasurer & Match Comm. Golf maniac too! A. J. Parker (Main Ridge BC) Has bowled for 20 yrs/6 with an arm. Lives in Shoreham. AJ is also a member of Dromana & Flinders B. C’s. He has won 2 Club C’ships, was R/up in the FBD Champion of Champions with many other Div. & Regional wins. A.J. enjoys his role as Chair of FBD Coaching and is an Umpire. The green bionic arm was his concept. It’s his 4th year in the Squad. Barry Anset (Golden Sq. BC) Barry lives in Kangaroo Flat with his wife of 45 years Glenda. He has bowled for 32 yrs, 22 with an arm. It is his 2nd second year in the Squad. He has won 10 Club C’ships (!) 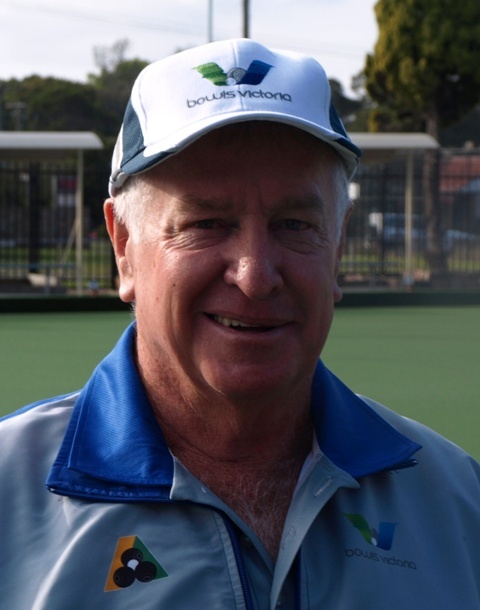 as well as State Triples & State Singles events and is in his 5th year with the State Over 60’s Squad. Brian McMahon (Warnambool BC) Married to Margaret with 4 kids. Former Publican. Took up bowls 35 yrs ago in Warrnambool, the last 18 mths with an arm. Brian has won his Clubs Pairs, Triples and Fours and experienced Sectional wins in Pennant. He is Chair of Selection & has occupied all positions at Club Level except that of President. It’s his 1st year in the Squad. Peter Gribbin (Pakenham BC) Married to Kerryn for 32 yrs with 2 children and 4 g-children. Peter retired after 38 yrs with Land Titles Off., finishing as Mgr. of the Registrar General’s Office. He Has bowled for 12 yrs, 3 with an arm. Winner of 2 Club Singles, 5 Club Pairs (1 with his son & 1 with his Son-in-law.) 2 Club Triples with son & son –in law and 2X4’s. Wins in D2 & D 3 Pennants. Past Treas. & Past Sec. Malcolm Finch (Golden Sq. BC) Mal has bowled for 30 years, the last 10 with a bowling arm. It took me a couple of years to convince myself that I had to convert to an arm, but I’m so glad I did. I loved the game so much you do what you must to stay a part of it. This is my first challenge to compete as part of the Vic. Armed Side and I am thrilled and thankful to have the opportunity to do so. 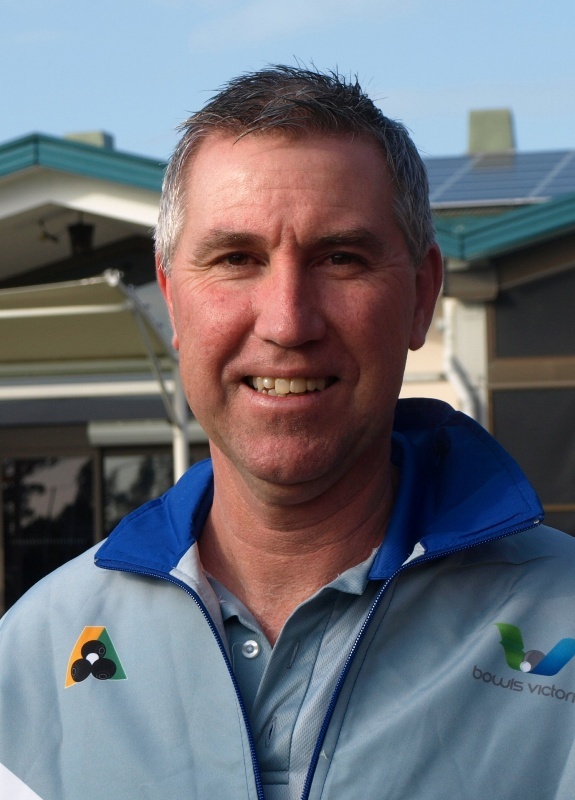 Neil Crisp (Warrnambool BC) Neil grew up in Derrinallum and now lives in Warrnambool with his wife Amanda. He has a son Bradley and daughter Samantha. It is his 2nd year in the Squad. Shift work has made it difficult for Neil to compete as often as he wished, but he was not too busy to compete in and win the 2011 Victorian Open Singles in fine style at Shepparton Park. Pamela Bryant (Edithvale BC) 2nd year in squad. Husband John. 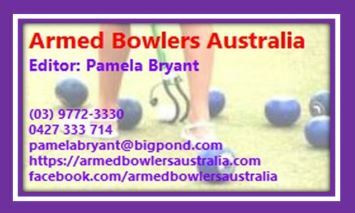 35 yrs in bowls, 4 Club Singles, 9 Club Pairs, other Club and Group wins, 1 Victorian Master’s Singles (Auburn) and 2 Div. 1 Metro Pen. Final wins as a Skip. 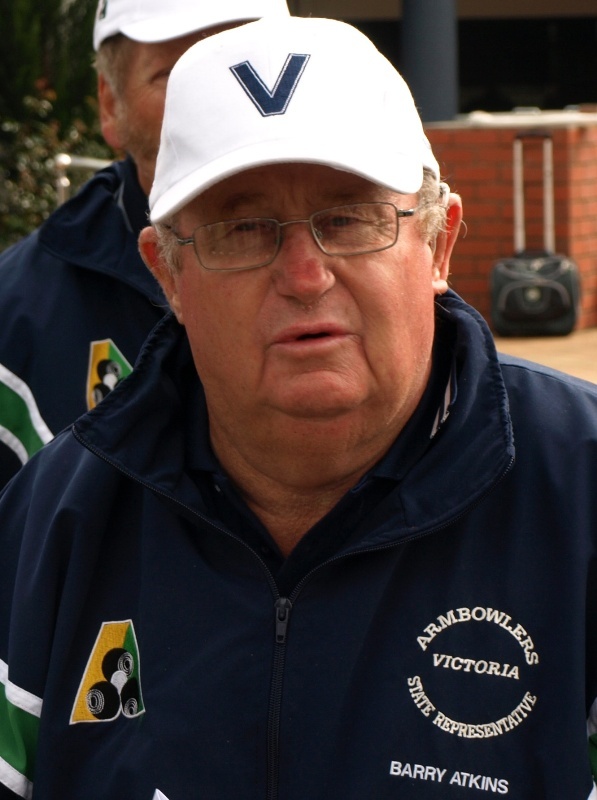 Past Umpire, Current Coach, former Selector, Chair of Match and Club Webmaster. Current Editor of Armed Bowlers Australia. Graham Edwards (Golden Sq. 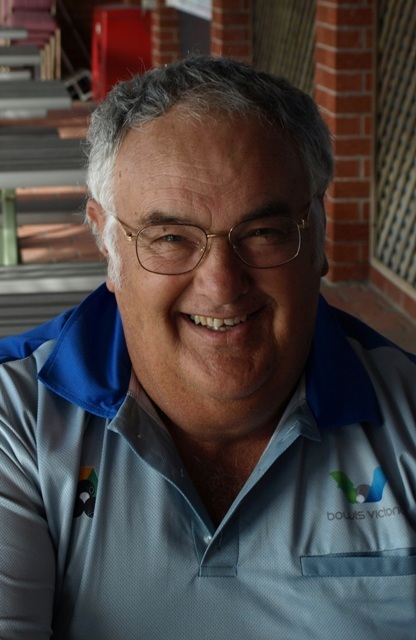 BC) AKA “The Big G” has bowled for 12 yrs and currently lives in Swan Hill. He took up the Bowling Arm 3 yrs ago. He has won 2 Club C’ship Singles and been r/up in 1. 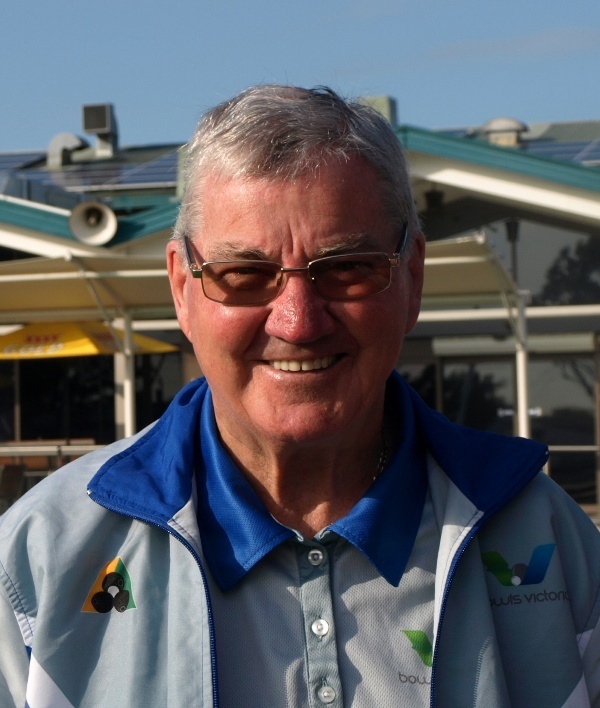 He has achieved multiple wins and runner up results in the full gamut of Club bowls, as well as a number of Div. 1 Premierships. Barry Atkins (Romsey BC) AKA “The Beast” It’s his 3rd year in the Vic. Armed Squad. 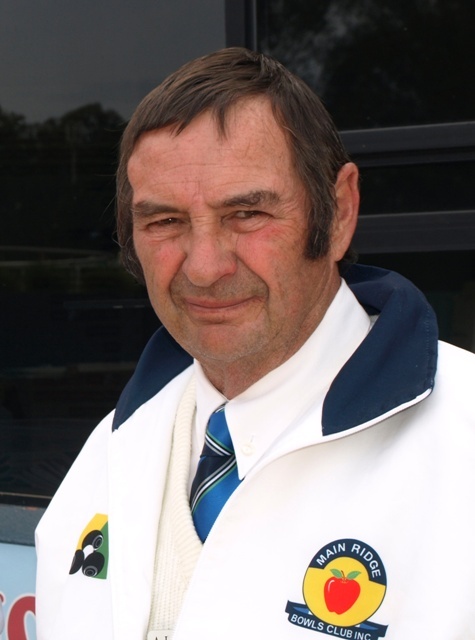 Barry has been bowling for 26 years and has won every listed Club event at various Clubs. He is a Former DCC for CHBA and is Romsey’s current Club Coach. 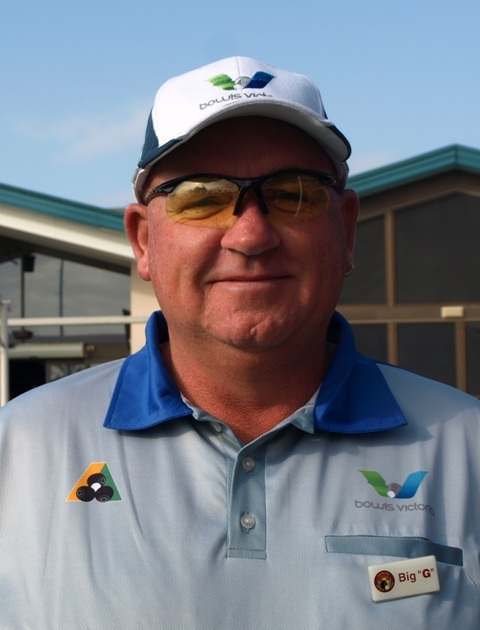 He is a Bowling Arm Coordinator with Bowls Vic., and has been using the Arm for 6 years. He enjoys the company of all Bowlers. Ray Arnold (Dromana BC) AKA “Radar”. It is Ray’s 1st year in the Squad. He has been bowling for 4 years the last 3 seasons with a bowling arm. While he was member of Rosebud B. C. he was delighted to participate as a Lead then as a 3rd in back to back Premiership wins in Div. 1. 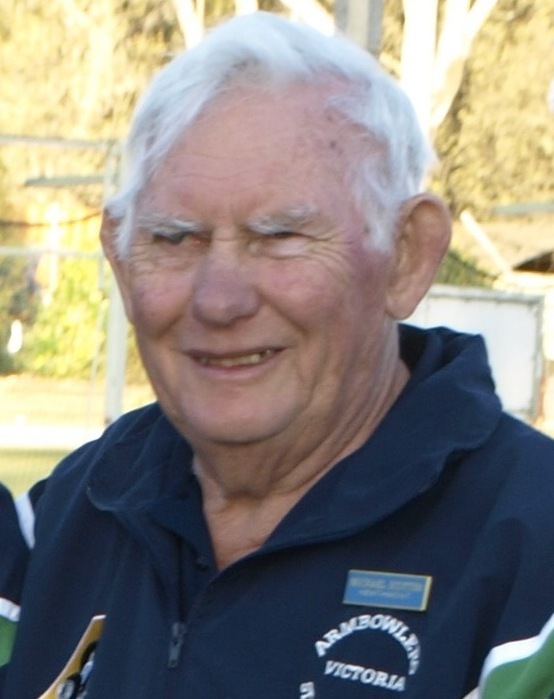 Ray is a total Sports Enthusiast and has just moved to the Dromana Club. 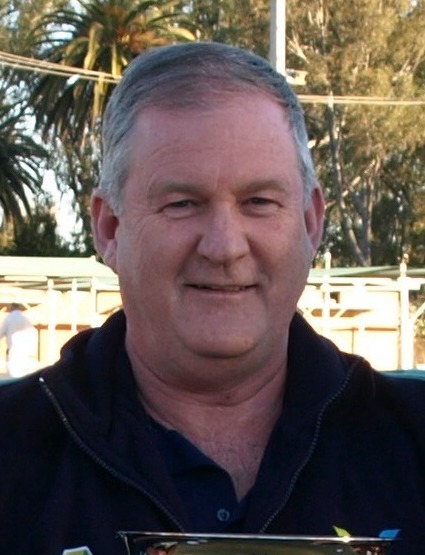 Michael Scotter (Cranbourne BC) Married to Marion, 4 children. 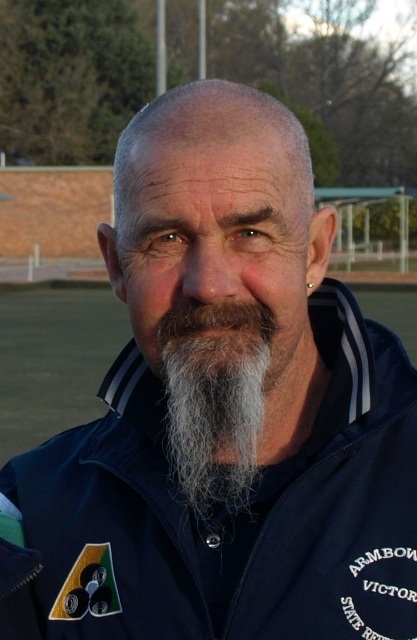 Started bowling in 1984 and was coached by John Dobbie. He was a member of Heathmont BC for 15 years serving 7 yrs on the Board of Management, on Selection and as Chair of Selection. He has used an Arm for 6 yrs, and is a keen Bowlers Arm Coach. 4th yr in Squad. Tony Long (St Leonards BC) Married to Heather 42 years. 2nd year in Armed Squad. 10 years in bowls, 2 with the arm. 1 Div 3 Pennant wins, 1 Club Singles C/ship, 3 Mixed Pairs C/ships, 1 Pairs C/ship, 1 Minor Singles C/ship and 1 Triples C/ship. Currently Skip in Div 1 for St Leonards in the Geelong Bowls region.